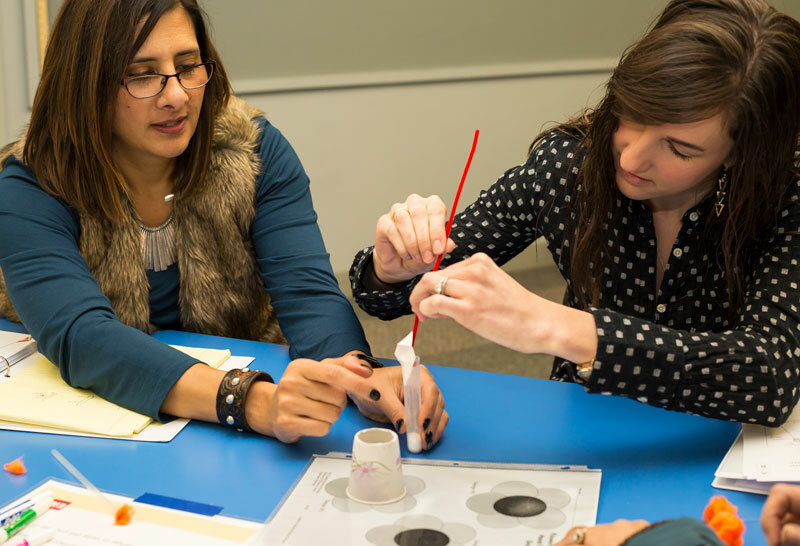 EiE’s hands-on professional development workshops are designed to help educators build the skills they need to foster student-centered, inquiry-based learning while enhancing their knowledge of engineering content. 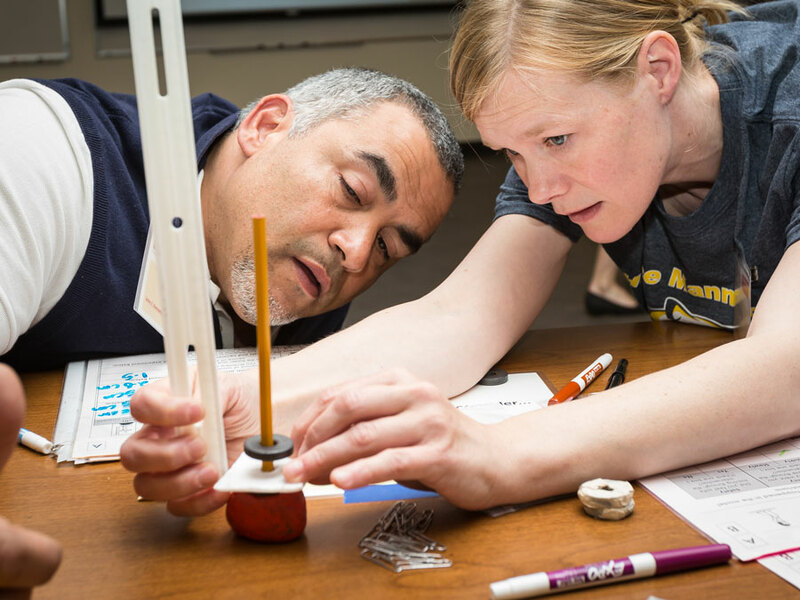 We offer a variety of in-person and online workshops for educators and teacher trainers to ensure that all educators have the opportunity to develop the skills and confidence they need to lead engineering activities, regardless of schedule or budget constraints. This 1-day workshop, designed specifically for the early childhood educator, gives educators hands-on experience with EiE’s preschool curriculum. In this workshop, educators learn the pedagogy and structure of Wee Engineer by diving into the activities and the educator guide. As they work through the challenges, they’ll get the chance to experience engineering as a learner and educator. They’ll leave with a deeper knowledge of engineering and technology and an understanding of what engineering looks like at the preschool level. This 1-day workshop guides kindergarten teachers through the pedagogy, structure, and scaffolds of EiE for Kindergarten in a hands-on, collaborative experience. Educators will engage in a full EiE for Kindergarten unit as a learner and educator, gaining new knowledge about engineering and technology and building the confidence they need to facilitate engineering activities in their own classroom. They’ll also get the chance to explore the teacher guide and begin building their own implementation plan with support from our expert PD facilitators, ensuring that they’re equipped to engage their students in any engineering challenge.